As you walk into a Kabira two bedroom cottage, you are greeted by a green serene spacious exclusive compound with a garden and lawn and then on to the red clay brick verandah furnished with ornamental garden chairs. 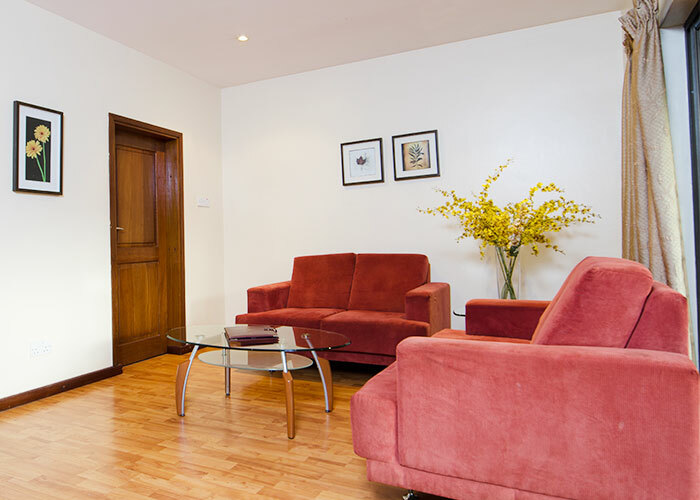 The modern design interior has a spacious fully furnished living room, dining and kitchen. The fitted kitchen has a refrigerator, cooker, coffee maker, microwave, and toaster. The master bedroom is furnished with a double bed, en-suite, has a cupboard, full-length mirror, and air conditioning. The other bedroom is also en-suite and has a twin bed, cupboard, and full-length mirror.